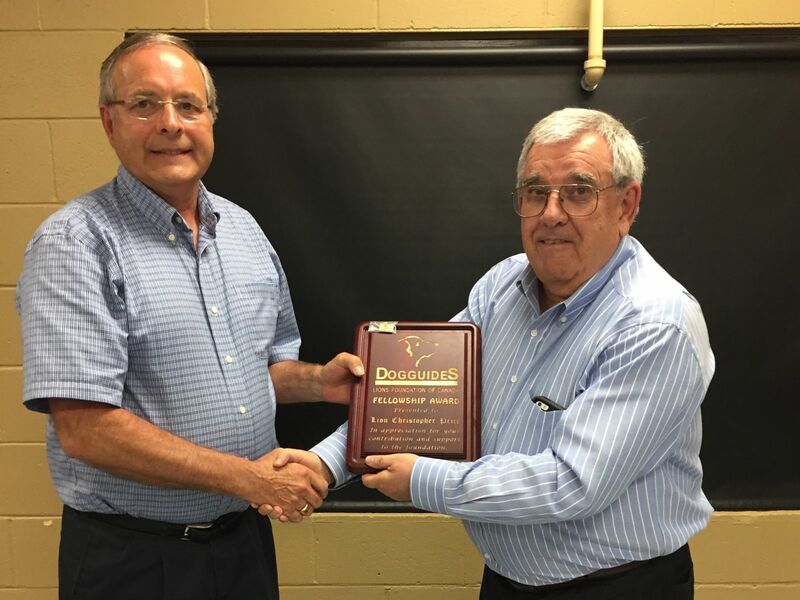 Lion Dave Brandon (left) was the recipient of a Dog Guides Fellowship Award. Lion Kevin Hewitson had the honour of prese nting this award to Lion Dave. He spoke of Dave’s childhood, his family and how he came to be working in the retail paint business; a business started by Dave’s father Peter. Dave has been a Lion since 2006. Since then he has served on the Board of Directors’, is a Bar Steward, and has become indispensable as a cook, in the food trailer. 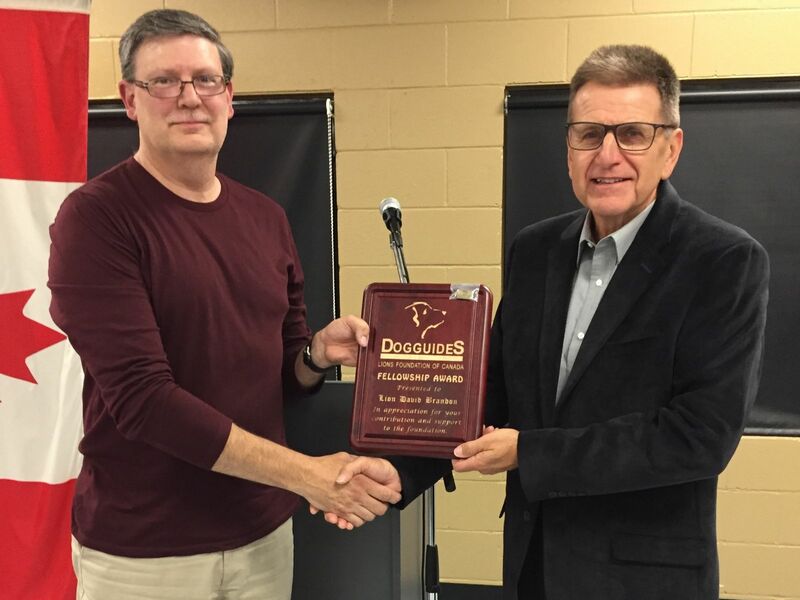 The Dog Guides Fellowship Award is reserved for Lions who consistently provide excellent service to their club or to Lions Foundation of Canada. Lion Dave is well deserving of this award. ​The other recipient of a Dog Guides Fellowship Award was our steadfast Secretary Lion Chris Price (right). Lion Sam Sheardown had the honour of presenting this award to his friend. He spoke of Lion Chris’ high school years, his family and career as an engineer for Allen-Bradley. Lion Chris has been our club secretary for the past 5 years. Lion Sam spoke of how Lion Chris gives 125% to everything he does and that is clearly displayed in his dedication to the club. Although Lion Chris cheers for the Leafs, he is most deserving of this award recognizing his excellent service to our club.